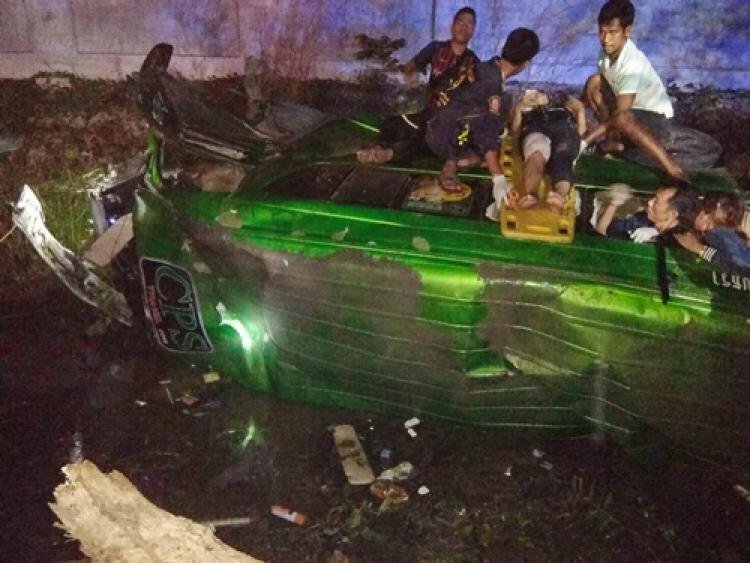 Nine Cambodian and five Thai passengers were injured on Saturday when the van they were travelling in fell into a roadside ditch in Chachoengsao’s Phanom Sarakham district.Police said the accident happened at 4am on the Chachoensao-Kabin Buri road in Tambon Muang Kao. The bus driver and 14 passengers were slightly injured and sent to Phanom Sarakham Hospital. The van driver, Theerapong Yodsuebpah, 32, told police that he dozed off behind the wheel, causing the van to stray off the road. He said he picked up the passengers from Nonthaburi and Bankok’s Don Muang district to take them to Chanthaburi’s Pong Nam Ron district.